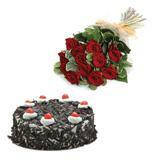 A sweet surprise for your family and near ones just at the stroke of midnight. 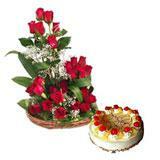 Send a hand tied 24 Red Roses with 1 kg heart shaped Strawberry Cake to all cities in India through GiftsAcrossIndia.com. 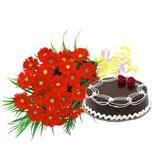 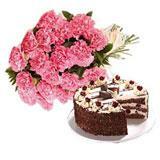 With this brilliant flowers n cake combo surprise your loved ones by sending Gifts across India.